King’s is now a member of the Sustainable Restaurant Association (SRA), enabling the university to provide more ethical and sustainably sourced food. King’s Food have also signed up to the SRA’s core programme, “Food Made Good”. 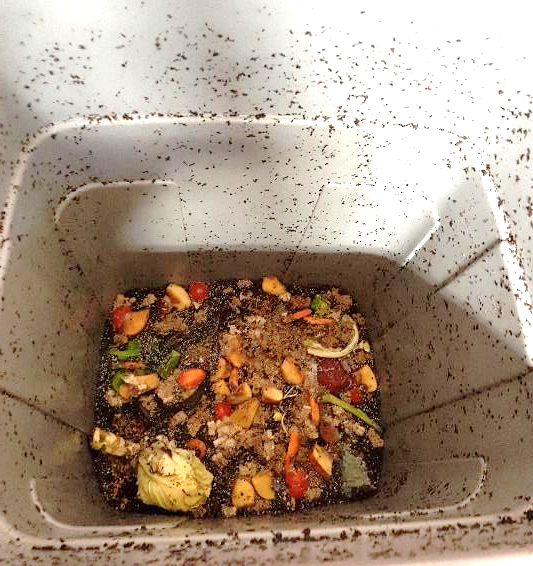 Food can have a significant environmental and social footprint. Examples of this are production methods that may harm the environment, such as destruction of habitats and therefore loss of wildlife for agriculture, exploitation of workers in the developing world, or wasteful practices that mean food produced never makes it to our plates. Recently, MPs have called on supermarkets to help reduce the £10 billion worth of food thrown away every year, for example by clearing up confusion around ‘Best Before’ labels. 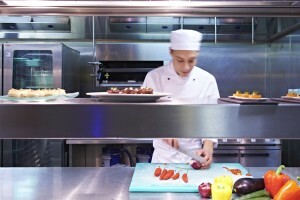 There are now many initiatives to help cut food waste. The Sustainable Restaurant Association is a not-for-profit that started in 2010, and now has over 6,000 member sites nation-wide. The Sunday Times has even nicknamed their rating system the “Michelin Stars of Sustainability“. Sourcing: This category focuses on how food at the university is sourced. This means local and seasonal produce, ethical meat & dairy, environmentally positive farming, sustainable fish and buying fair trade. Society: The society criteria focus on the impacts of food on people: fair treatment of workers, healthy and balanced menus, responsible marketing and communication with customers, and engagement with the community, e.g. local schools. Environment: This focuses on the environmental impacts food may have: the supply chain of goods, waste management (including food waste), sustainable workplace resources, improving energy efficiency and saving water. In the near future, King’s Food will be reviewed in these areas, and if scoring highly, awarded a rating out of three stars. Being part of the programme will help King’s Food to continuously improve sustainability in restaurants at King’s. The university joins a diverse range of SRA members, such as national chains like Wahaca and Jamie’s Italian, a number of universities, and even the Eurostar. In addition to being a member of the SRA, King’s is currently working towards becoming a Fairtrade University. April 13, 2017 / Martin Gulliford / Comments Off on It’s Coffee Week! This week is UK Coffee Week, so we are taking the chance to talk about some of the great sustainability things happening in the coffee world. The industry often gets bad press, with environmentally damaging and exploitative farming methods, and often wasteful habits at the consumption end (disposable coffee cups, anyone?). Rather than just an excuse to drink lots of coffee (not that we need an excuse for that…), this is a week-long fundraising campaign by coffee shops all over the country. Participating coffee shops raise money for Project Waterfall, which aims to provide clean water to coffee-growing communities. Coffee is water-intensive to grow, but those growing it often have little access to clean water and sanitation. So far, the project has raised £600,000 and provided clean drinking water to over 24,000 people. Find out more about coffee shops taking part on this map. Coffee production is often exploitative and environmentally damaging, but it seems both coffee shops and customers are looking for ways to change this. Among the many coffee shops selling Fairtrade coffee, there are a few that have set up their own, direct trading schemes. As part of the festival, Union Coffee delivered a talk on how they make sure their coffee is from sustainable sources. This includes working with the same producers over many years, paying a premium on top of Fairtrade prices, and training employees to audit their supply chain. Many see this as a win-win situation: farmers receive a stable income and are able to improve their produce to sell it for higher prices in the future, and buyers have reliable sources and increasingly better products. While this might only work as long as consumers are happy to pay higher prices for premium products, it is certainly an interesting new direction.. Other coffee roasters sourcing their coffee directly from producers are Pact Coffee or Cafédirect. Following a lot of media attention in the last few months, disposable coffee cups were a big topic. 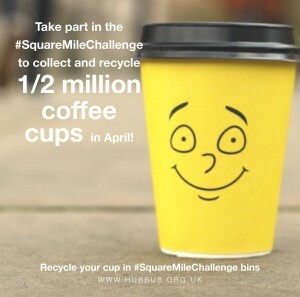 Hubbub and Simply Cups took their Square Mile Challenge to the London Coffee Festival, installing three of their iconic yellow cup-bins, as well as smaller bins and posters around the venue. With significant quantities of disposable cups given out during the festival, the bins were in high demand! As well as using the cup recycling facilities, visitors could hear about alternatives to disposable paper cups. Biodegradable and compostable cups were on show, as well as many reusable coffee cups. If you have been to the cafés on campus, you have probably seen the King’s College London KeepCups on sale. They were represented at the London Coffee Festival, and showed off the impressive number of universities that sell branded reusable cups on campus. With many companies now offering reusable cups in all shapes and sizes, disposable cups will hopefully be a thing of the past! Interested to know what happens at King’s? The Maughan Library is currently taking part in the Square Mile Challenge, which is aiming to recycle 500,000 coffee cups by the end of April. 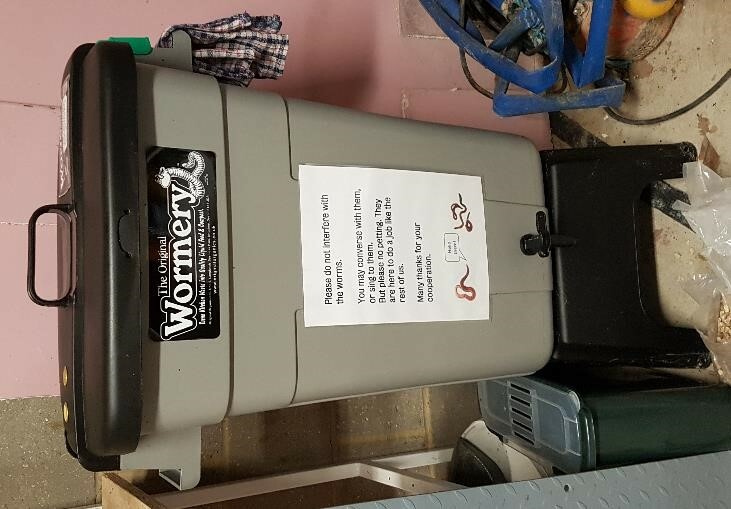 If you are having coffee there, make sure you look out for the special coffee cup bins (and watch this space for future developments on other campuses)! King’s Food also offer a discount on hot drinks if you bring your own reusable cup. King’s is also working towards becoming a certified Fairtrade University. Welcome back to students and staff – we hope you have had a happy and sustainable holidays! We are pleased to share with you that King’s reduced our electricity consumption by 43 per cent and gas by 24 per cent compared to normal December usage. The Sustainability Team would like to thank you for all reducing our electricity and gas consumption over the winter break. This resulted in savings of £73,000 and 338 tonnes of CO2. We managed to improve by 24 per cent against the winter break of 2012/13. This is a fantastic achievement but there is still room for improvement. University-wide efforts are helping us to achieve our energy and carbon reduction targets. Shutting down unnecessary items, including lab equipment, lighting and PCs wherever possible led to this result. This builds on the success of the Blackout project in late 2014. This year we will be aiming to achieve similar savings every holiday, weekend and evening when non-essential equipment, such as lights and computers, are not needed. Looking forward to the term ahead we have a jam-packed schedule. The Sustainability Champions project is set to officially launch next week, swiftly followed by Green Week, and Fairtrade fortnight. We are looking for enthusiastic people who would like to be involved at driving sustainability at King’s and helping with any of the former mentioned projects. Fairtrade fortnight is especially important; we will be celebrating 20 years of Fairtrade, King’s is aiming to gain accreditation for being a Fairtrade university. The fortnight will be focusing on core commodities – cocoa, sugar and tea. This is the chance to take action to ensure marginalised farmers around the world have decent working conditions and are paid a fair price for their produce. Watch this space for the full Fairtrade fortnight schedule. How did you spend World Water Day this year? April 3, 2014 / nms / Comments Off on How did you spend World Water Day this year? The 22nd of March was World Water Day. A day set aside to specifically remember and celebrate what we often take for granted. There is something magical about water. We’ve all experienced the powerful presence of water at some point in our lives. Perhaps through a beach vacation beside turquoise waters or a quick dip in the pool, a relaxing time by a serene lake, watching raindrops on roses or perhaps when we were kids splashing around in a paddling pool or a river. Water can evoke so many emotions. Can you think of what is your favourite memory of water? Water is intrinsically connected to everything we do whether we are aware of it or not. From our cuppa in the morning to a long soak in a hot bath on weary days, from the things we choose to put on our plates to the objects we use everyday, a LOOOOOOOOOT of water goes into making all of that possible. The term used for the water that is embedded in all these things is called ‘Virtual Water’. You’d be proud to know (in case you didn’t already know) that the concept of virtual water was discovered by our very own Professor Tony Allan. Virtual water has taken the world by storm. Building on this concept is the notion of water footprints. Scientists have now discovered how much water goes into growing our food or making things. Take a look at the chart below. There is also a cool iPhone app by the Virtual Water Project that you can download from iTunes if you’d like to grow more conscious about how much water our everyday food and beverages really consume. Try these delicious seasonal recipes for Green Week! February 7, 2014 / Claudia Ardevines Puyuelo / Comments Off on Try these delicious seasonal recipes for Green Week! [GUEST BLOG] Selina is Departmental Administrator and Equality Representative for the Department of Pharmacy and the Department of Forensic & Analytical Science. She loves cooking and is working on her own cookbook. Try out her Green Week recipes below! You may already have heard of Meatless Monday, the campaign to try to get all us of to reduce our reliance on meat by encouraging consumption of at least one vegetable based meal each week. In addition there is also the Love Food Hate Waste campaign to try to get us to think more sensibly about the food we buy to reduce the amount we needlessly throw away. Why not celebrate Green Week at King’s with a 5 day menu of cheap and nutritional meals based on seasonal vegetables, love your leftovers and do your bit to reduce food waste and help the environment? Faazi is a geography student at King’s College London. She provides her thoughts below on our second Sustainability Forum on sustainable food production and social entrepreneurship. For our second forum we were lucky to have former King’s student Tom Webster come to talk to us about GrowUp, his sustainable urban farming business. Tom and his business partner Kate use vertical growing techniques and aquaponics to grow salad and vegetables and farm tilapia fish. Vertical growing means that food can be grown with much less space than traditional farming, which is ideal for cities – and also reduces transport emissions. The fish tanks are kept inside the greenhouses that the vegetables are in, so the heat from the tanks also heats the greenhouse. Aquaponics is a farming system where water is kept within a loop: the nutrient-rich water from the fish tanks is used to nourish the plants and is then recirculated to the tanks, so energy and water use are kept to an absolute minimum. 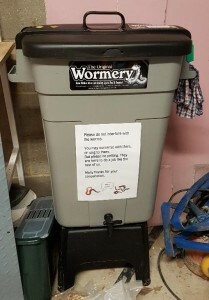 Tom and Kate raised the initial costs of £16000 through a Kickstarter campaign, where anyone can donate to your project in return for a small gift once the project is up and running – proof that with a bit of work, anyone can take their ideas to the next level! As a group, we came up with loads of brilliant ideas to make food at King’s more sustainable. 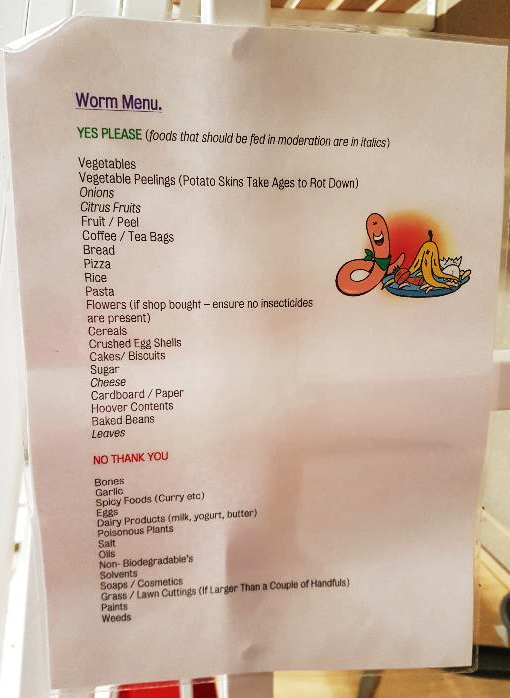 There isn’t a big range of healthy food sold in King’s Food outlets, and the labels don’t tell you how the food was produced and where it came from. Switching to sustainable, local suppliers who used seasonal food would reduce the carbon footprint of the food that we consume on campus. There is currently a farmer’s market every Tuesday on Guy’s Campus which sells local food, and it would be fantastic to have something similar on all five campuses. How can we make food at King’s more sustainable? November 26, 2013 / Claudia Ardevines Puyuelo / Comments Off on How can we make food at King’s more sustainable? Photo by James Lee on Flickr. This month’s Sustainability Forum will focus on two themes: sustainable food and social entrepreneurship. We invited Kate Hofman and Tom Webster, founders of the GrowUp urban farm. They used crowd funding to raise more than £16.000 for their social business through a Kickstarter campaign and successfully built a prototype fish and salad farm in a shipping container box near London Bridge, showcasing new techniques for sustainable food production in the city. We hope their story will inspire many students and staff to start up their own food sustainability projects. Similarly, we would like to offer a platform for suggestions and ideas on the food we provide at King’s. This academic year all catering was moved in-house to King’s Food, which allows us to improve on different aspects that impact our ecological footprint. The sustainability team met with King’s Food to see if we can work towards the Soil Association Catering Mark, which is “an independent endorsement that food providers are taking steps to improve the food they serve, using fresh ingredients which are free from undesirable additives and GM, and better for animal welfare” (more info here). 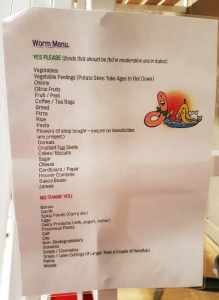 Accreditation schemes such as the catering mark are a way to analyse all aspects of food sustainability in our canteens: from choosing where supplies come from to what is on our menus.